A few days ago, yet another box from Forge World showed up at the house. 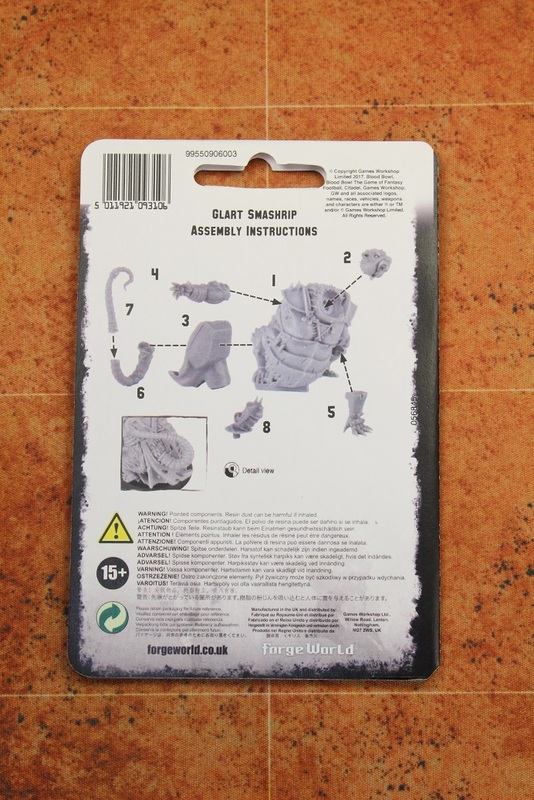 In the box was one FAT RAT in the form of Glart Smashrip. 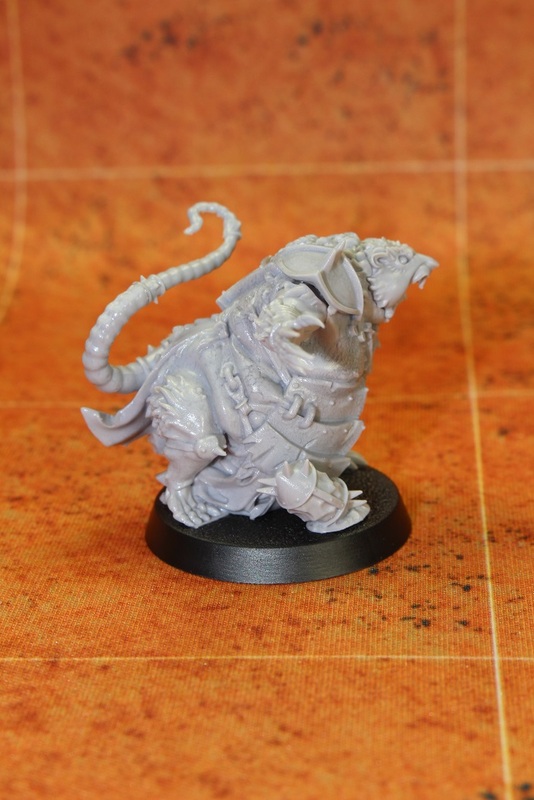 Glart is the newest Star Player for 6th edition Blood Bowl, and he makes for a pretty imposing rat on the pitch. 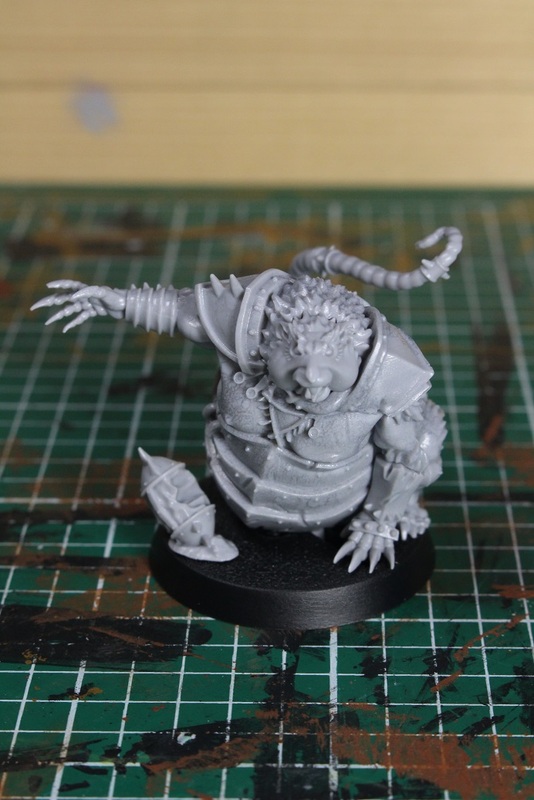 His bulk adds some much needed muscle to the Skaven team. Glart makes his first appearance (since 1st edition, anyway) in the newly released Death Zone Season Two. Glart Smashrip is actually a different Star Player than Glart Smashrip Jr that is listed in LRB6/CRP rules. Most of the skills are the same, but the stats are quite different. He’s stronger, but a bit slower than the Glart Smashrip Jr that appeared previously. From a fluff perspective, I believe he is supposed to be Glart Smashrip Sr, but I’m not 100% sure on that. 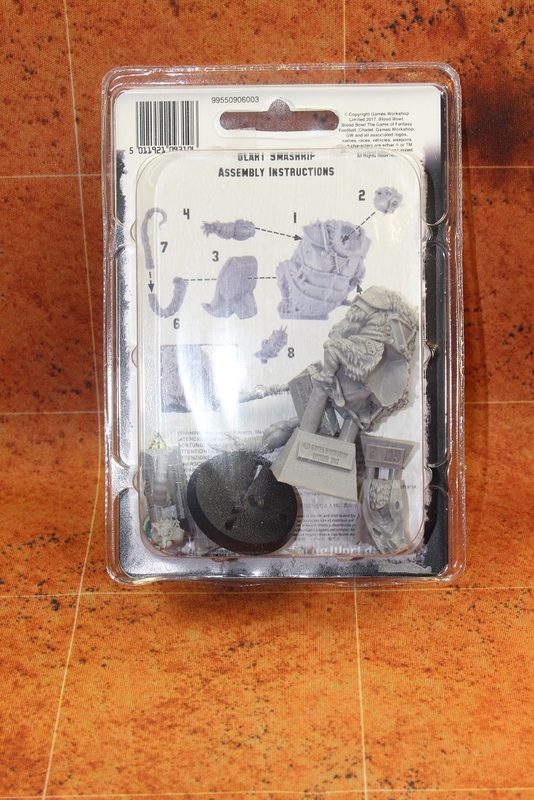 Let’s take a look at some pictures of the package. We get pretty much exactly what you would expect in the packaging. Time to open it up and see what’s inside. You get only a single slotted base with Glart, which is a little different than other Star Players, but there is a reason for that. We’ll get to that reason in a minute. The picture included with the artwork is a very nice one. The mini is well painted, and the picture is not at a weird angle. 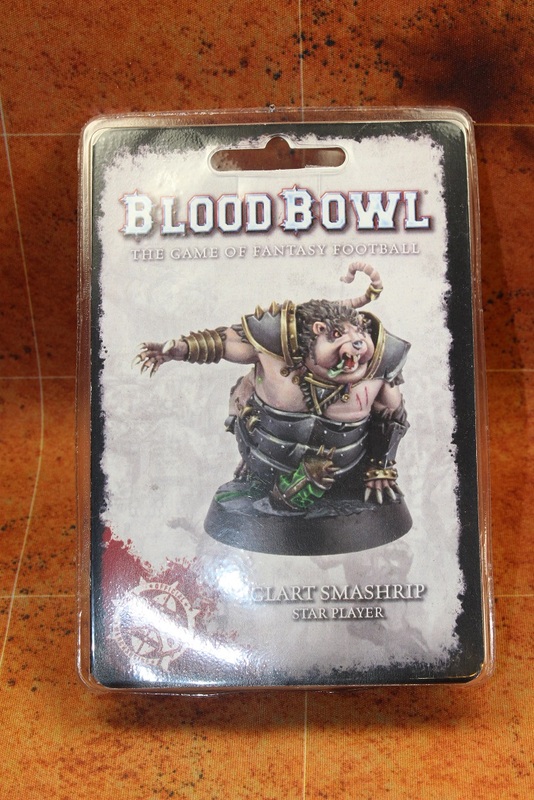 That should go without saying, but unfortunately that can’t be said of all the recent Blood Bowl releases. Troll, anyone? 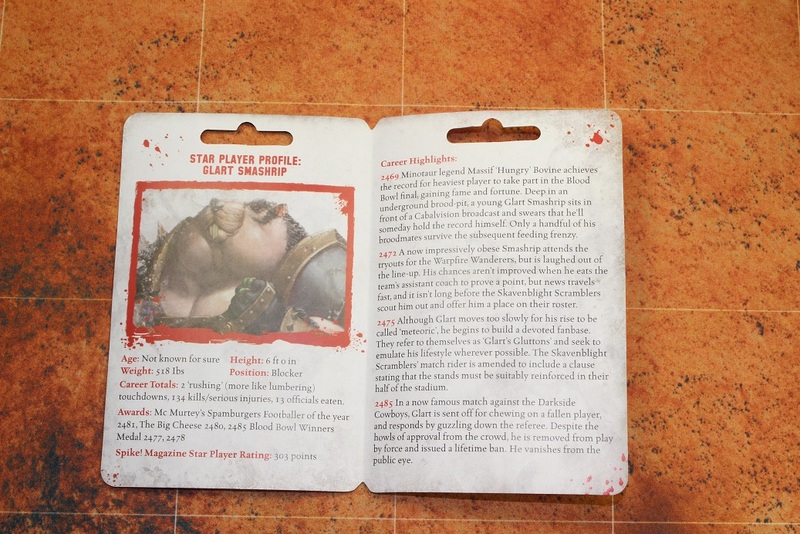 Like other Star Players, the insert unfolds to reveal stats and fluff for Glart. The back of the insert shows assembly instructions. At only eight pieces, including the ball, assembly should be a snap. Time to wash the pieces and get the mold release agent rinsed off. 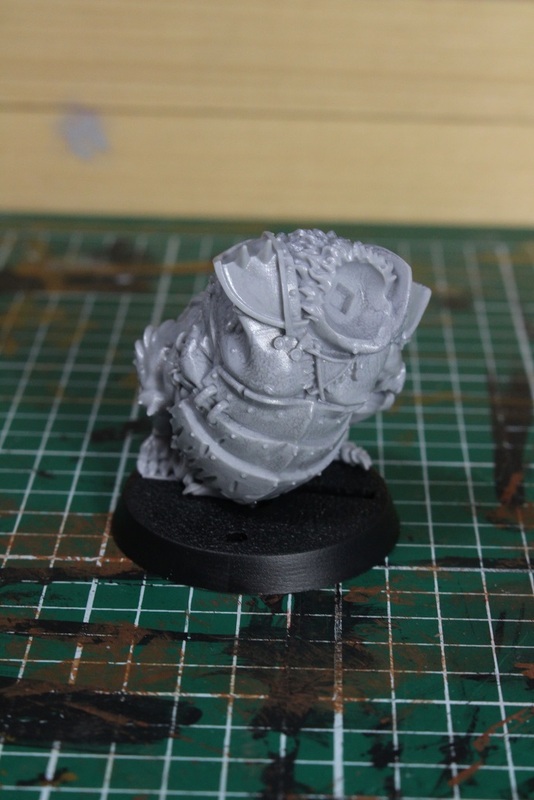 The torso is mostly a single piece. I don’t know if everyone is as lucky as me, but I didn’t see a single mold line on this piece. I was pretty impressed by that. The only thing I did notice was that the resin seemed to have a bit of a marbled look in a couple of spots. Not sure what that means about the mix of the material, but the surface felt smooth enough, so I suspect it will paint up without any problems. The head went on very easily, and the seams are barely noticeable. For some reason, the loin cloth in back was a separate piece. Like the head, it attached very easily, and showed only the tiniest of seams. Here we have the first arm attached. It took me a minute or two to figure out the angle and rotation of the arm, but once I figured it out, it attached easily. Four pieces in and I still haven’t seen a single mold line. What is going on here? 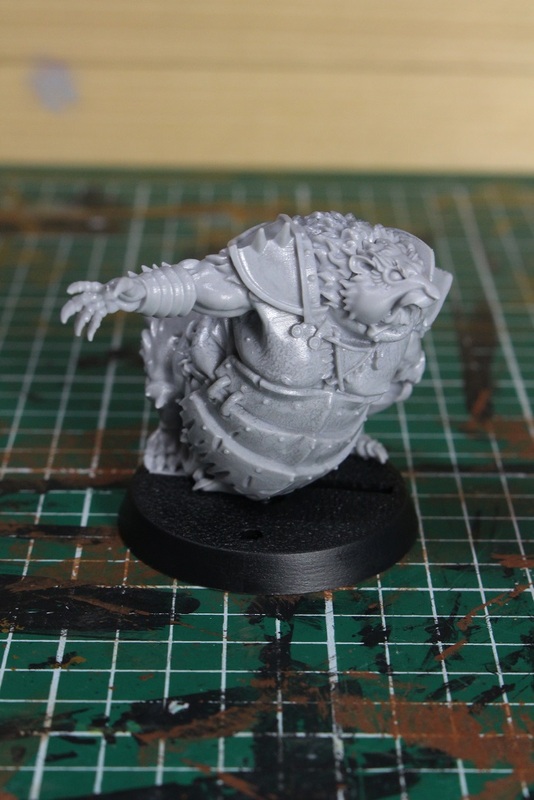 The second arm attached as easily as the head and loin cloth. 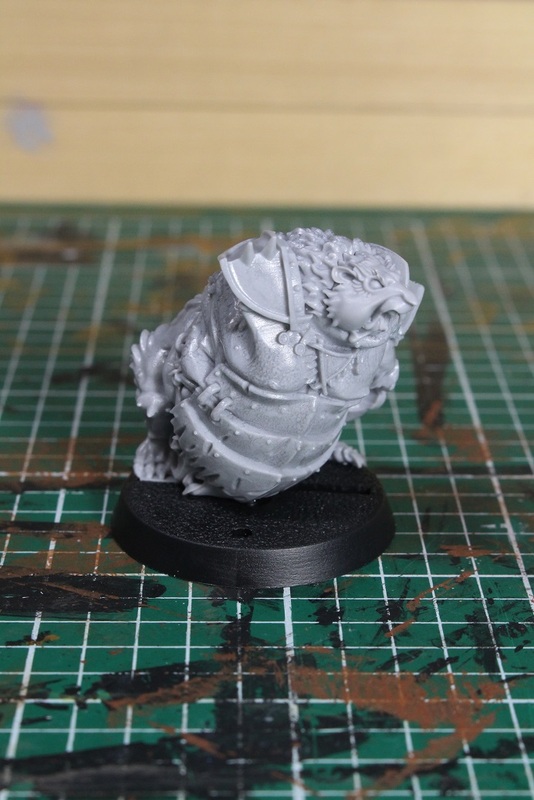 I have to say that so far, this has been about the quickest and easiest assembly of any of the Forge World Star Players yet released. The tail comes in two pieces. Not a huge fan of that as I worry that it compromises what little strength there is in such a thin piece. Having said that, there is a tab that goes straight into the body at the base of the tail that provides a very solid joint. 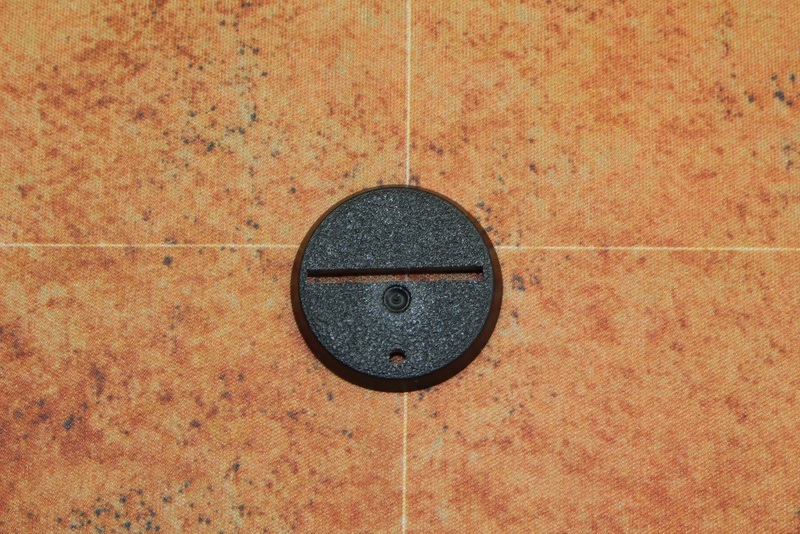 Oh, and I finally found a minor mold line. The end of the tail is a bit thin, and I worry about how it will hold up in the long term, but I guess we will have to wait and see. There was a thin piece of flash that needed to be trimmed from the loop in the tail, but it was removed easily enough. The mini is now technically done, but there is one piece left. 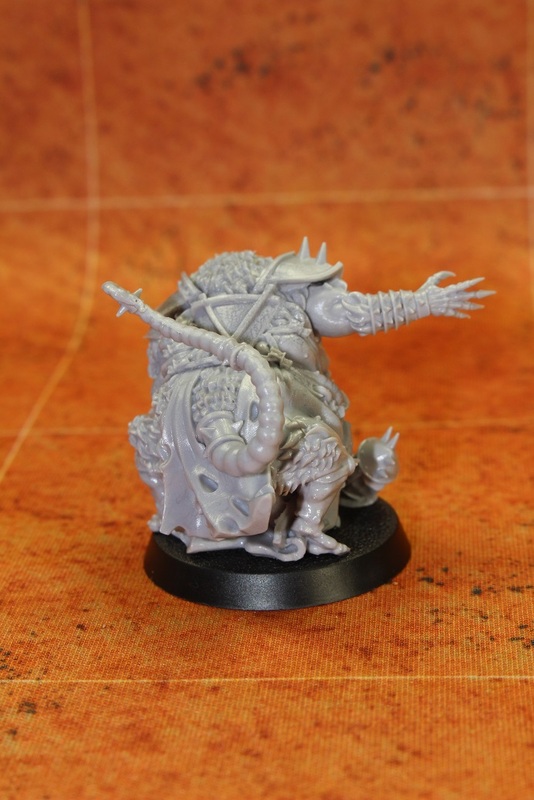 The mini includes a Skaven themed ball with a big bite taken out of it. I love that detail. 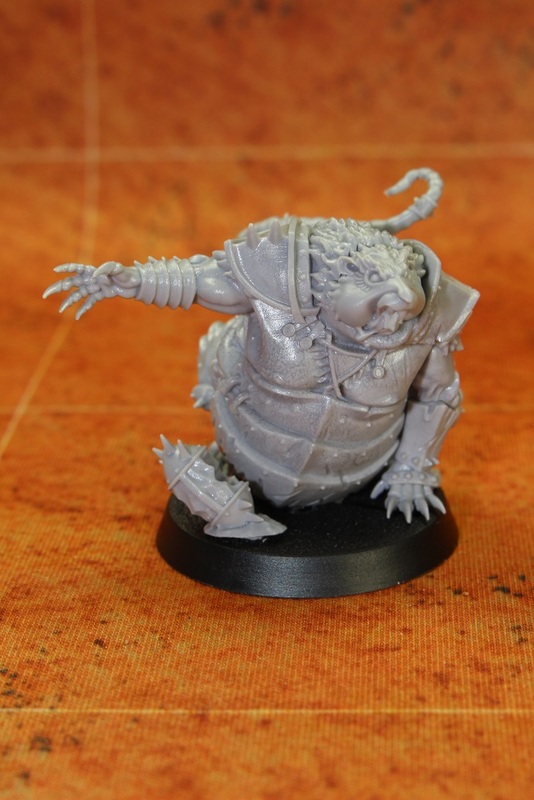 I think it’s hilarious and fits perfectly with the image of a giant fat rat. Here are a few more pictures of Glart Smashrip from multiple angles. 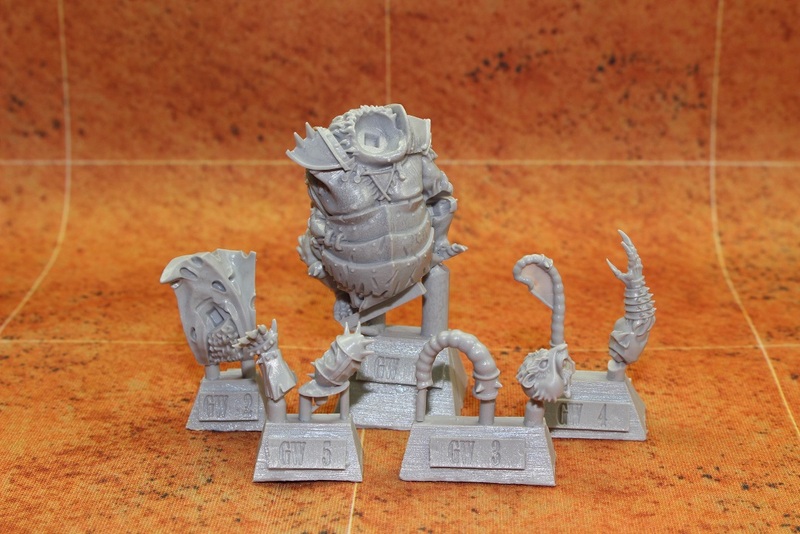 I have read some people say that Glart looks too big to be a ST4 player, but let’s take a look at him next to a couple of other minis. 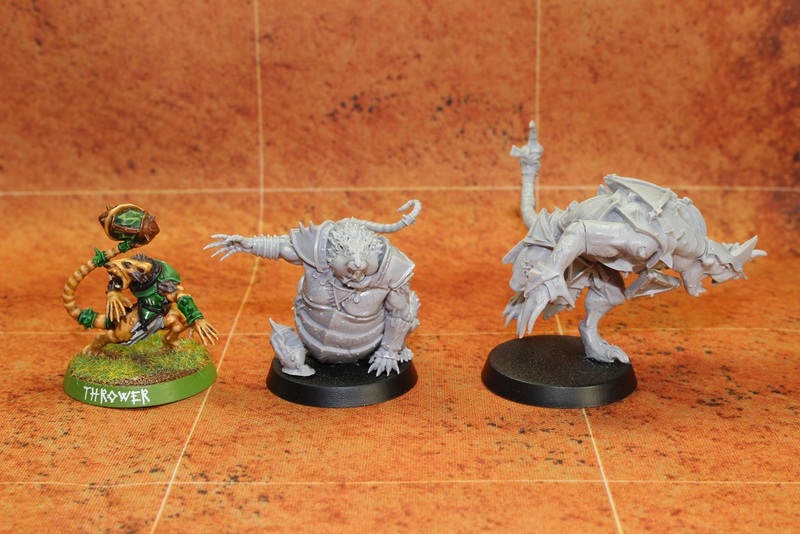 Here is Glart next to the Skaven boxed set Thrower and the Forge World Rat Ogre. 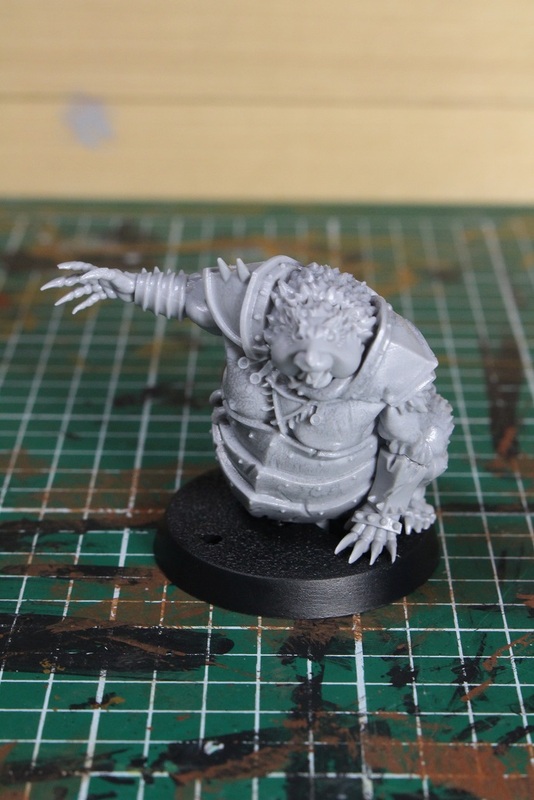 As you can see, he’s just about exactly halfway between the size of the ST3 Thrower and the ST5 Rat Ogre. 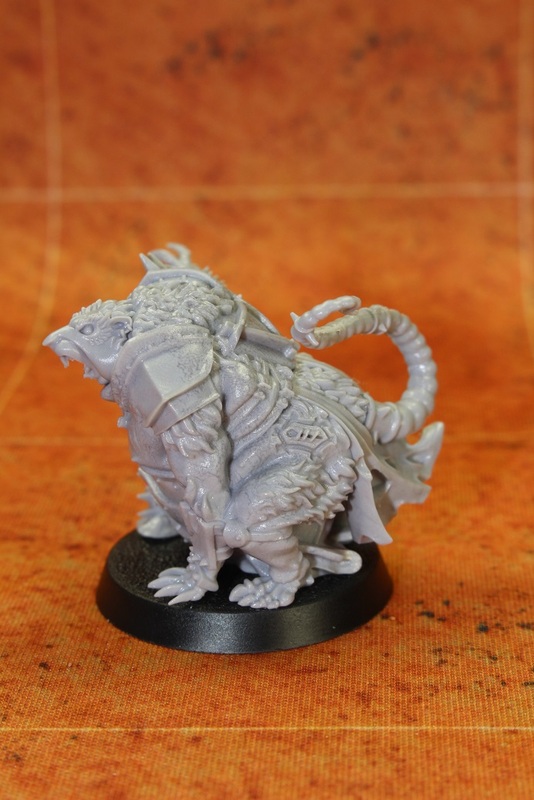 Looks like a perfect ST4 rat to me! Some people might not like the new Glart Smashrip mini, but I like it quite a bit. 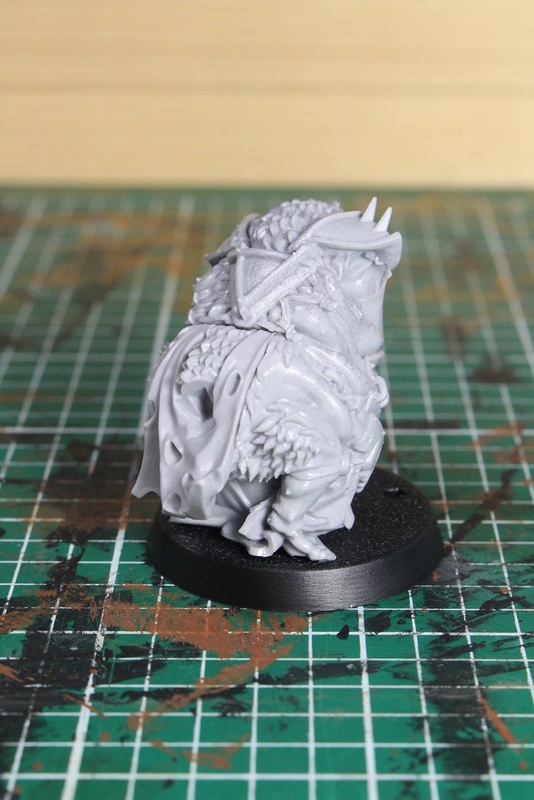 I think it’s a good sculpt with a near flawless cast, that assembled like a breeze. Honestly, I have zero complaints about this mini and am happy to have it in the ever growing collection. What do you think? Did you order a Glart Smashrip, too? 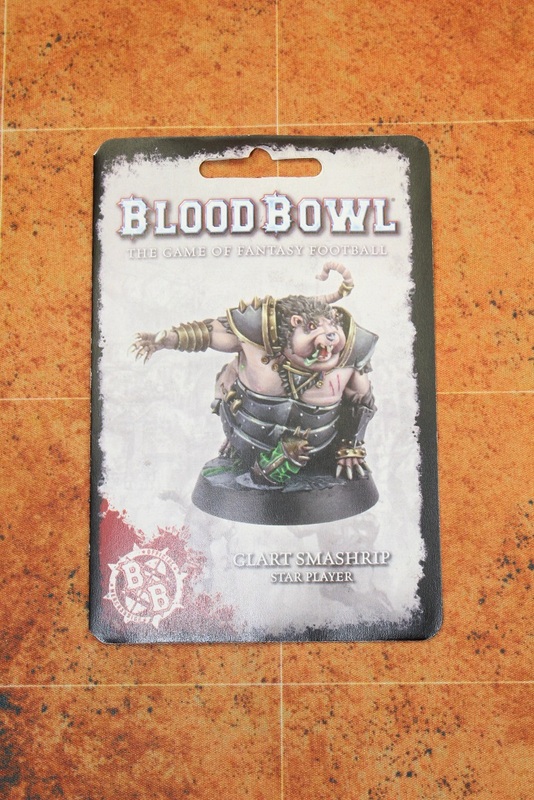 This entry was posted in Blood Bowl, Gaming and tagged Blood Bowl, Death Zone 2, Forge World, Forgeworld, Games Workshop, gaming, Glart Smashrip, Miniatures, Skaven, Skaven team, Star Players, table-top games, tabletop wargames, wargames, Wargaming by Mike C. Bookmark the permalink. What a bloater. I really like him. I was worried that he would have a separate tab to be glued on but no, it’s part of his body. He’s a good player to, so I may have to get one. Finally a star player with both feet on the ground! Great write up! Then buy one! It’s only money, right? I forgot, does he have Claw, like Glart Jr did? 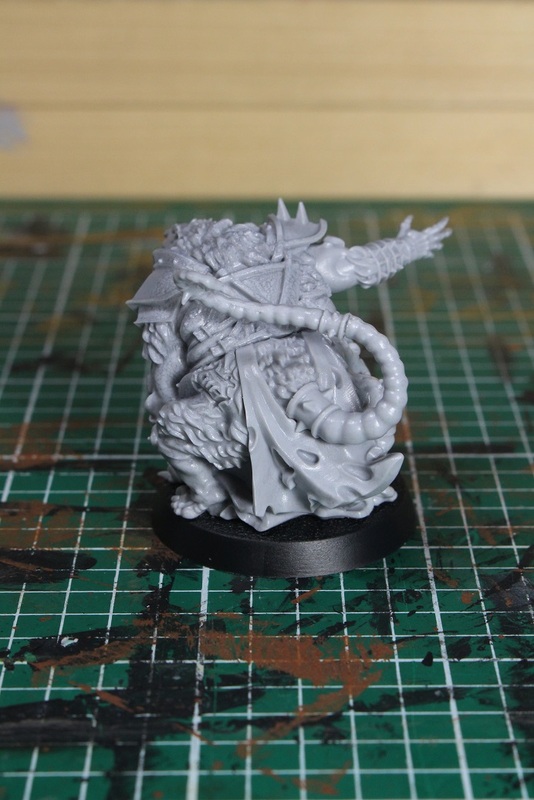 I’ll have to debate whether I want to add a piece to him or not. Never noticed that the ball had a chunk taken out before. 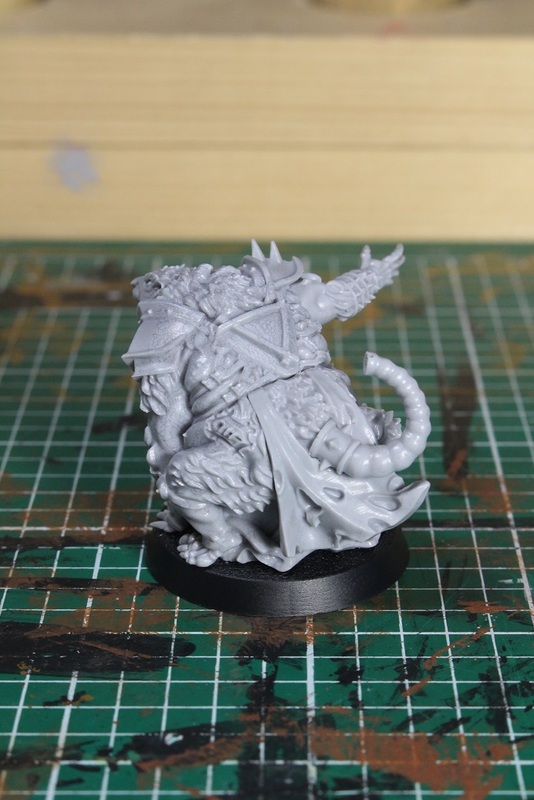 I don’t know enough about the Warhammer world, but would someone actually take a bite of Warpstone? Half jokingly, my immediate thought was to try and paint the ball to look like cheese. Will see! Great minds think alike! Though I doubt I have the painting skills to pull it off, so I might have to do a marshmallow instead.